Rishikesh is a city in Uttarakhand near the Himalayan foothills. It is the best place where we can do adventurous acts in our lives. The environment around Rishikesh is so pleasant and pollution free. It is a renowned place for Yoga and meditation. 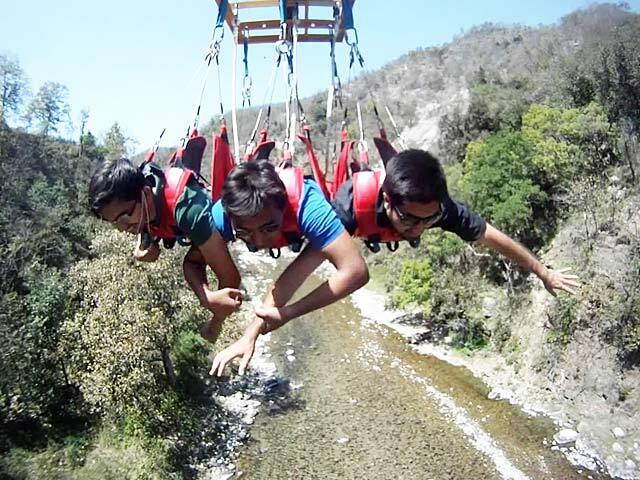 We can go crazy near Rishikesh with different adventurous plays like Bungee Jumping, River crafting etc. Rishikesh is located in between Himalayan foothills and Ganges river. So we can have many adventurous acts due to these reasons of plenty of water streams, mountains etc. Bungee Jumping is the most thrilling act to take part by everyone in their life. It is like dropping from a great height and you will bounce back with a force. 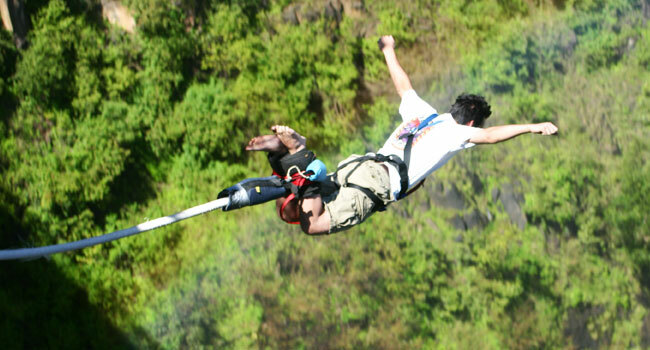 The experience of Bungee Jumping will make you fun a lot. Bungee Jumping is an activity of jumping from a tall structure like building or cliff by the suspension of ropes. The feeling when you bouncing back after jumping makes a strange experience in your life. This activity is not meant for a season it can be availed for throughout the year. But before performing people with blood pressure and diabetes should consult a doctor before taking part in it. Flying Fox is similar to Zip lining. Zip lining means sliding through a horizontal rope which is connected by a harness. Flying Fox is an activity of sliding in between two cliffs or valleys. The starting point of the rope will be at a high altitude and allows us to slide to another point through the rope. There is no age limit to take part in this adventurous activity anyone can participate. We can enjoy the greenery of the Rishikesh by the Flying Fox activity in between two cliffs. As usual no particular season and available throughout the year. It is must consult a doctor for whom with blood pressure and diabetes. River Rafting is the most popular adventurous act in Rishikesh. 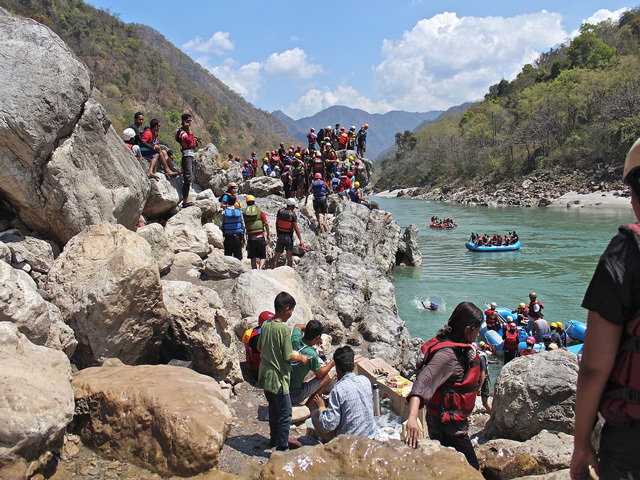 Most of the tourists visit Rishikesh for River Rafting. Rishikesh lies in between Himalayan foothills and Ganges river and this made popular to have River Rafting. This is the most adventurous act in Rishikesh to explore the beauty of cliffs, valleys, and water streams. River Rafting means sailing on rapid streams on a rubber boat. The best seasons for River Rafting is Summers and monsoons for the best experience. During these seasons water streams are stronger. Trekking is the best activity to enjoy the nature of Rishikesh. 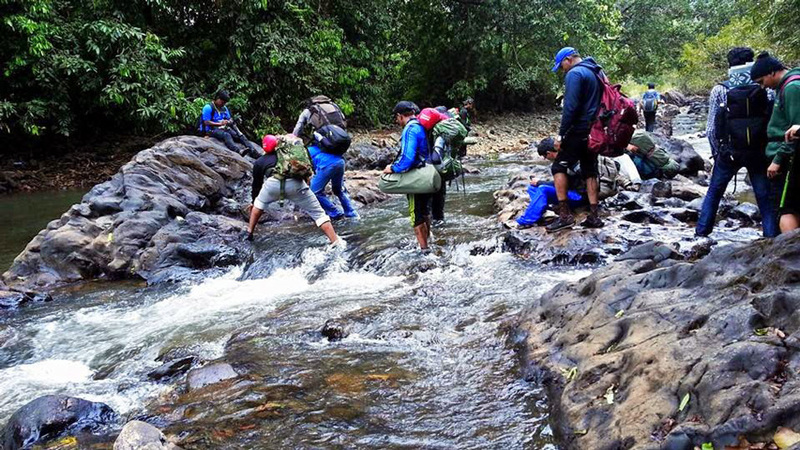 Trekking in between cliffs, valleys, and mountains with water streams make a serenity feeling. Rishikesh is the best and safe place for Trekking. Because of laying at foothills of upper Himalayas it is the best place to trek. Places such as Gangotri, Yamunotri, and Badrinath is an ideal place for trekking. The best seasons for trekking is Summer, Autumn, and Spring because of its pleasant atmosphere. Everyone can trek with basic physical fitness. Cliff jumping means of jumping from a cliff of a range between 20 to 50 feet into waters. It is the best experience to get chill by the cold temperature of the water. Jumping into water from cliffs make the best experience in your adventurous life. Rishikesh is the perfect spot for this activity. The best season for this activity is Summer only because of gratifying weather and an ideal temperature of water. Anyone can take part in this act with basic physical fitness. These are the different adventurous activities to be done when you go to Rishikesh. The most adventurous activities like Flying Fox, Bungee Jumping, Paragliding people must consult a doctor who is related to blood pressure or diabetes before taking part in it.